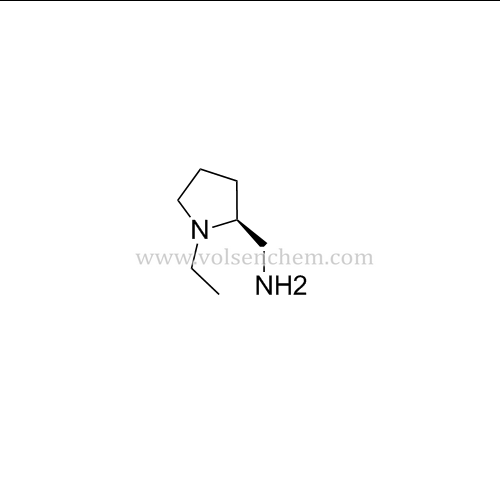 We,China 22795-99-9 (S)-N-ethyl-2-aminomethyl-pyrrolidine Suppliers and China 22795-99-9 (S)-N-ethyl-2-aminomethyl-pyrrolidine Manufacturers with quality you can count on including those with CAS number 22795-99-9, You can be assured that all (S)-(-)-2-Aminomethyl-1-ethylpyrrolidine products offered by Volsen, meet or exceed the grade requirements or specifications for each individual product. Looking for ideal Pharmaceutical Intermediate of Levosulpiride Manufacturer & supplier ? We have a wide selection at great prices to help you get creative. All the Cas 22795-99-9 are quality guaranteed. We are China Origin Factory of 22795-99-9. If you have any question, please feel free to contact us.